Speaking of the inability of our lawmakers to negotiate, and keep our country from becoming the largest default in history, taking that title from Nazi controlled Germany (another thing we resemble Nazi Germany in ) . Well, the Chinese are not sitting quietly by, watching all of this unfold. The official state-run Chinese news agency, Xinhua, ran an editorial on Sunday titled: "A de-Americanized world". Here's a snippet, and the link to the whole story (in English). "As U.S. politicians of both political parties are still shuffling back and forth between the White House and Capitol Hill without striking a viable deal to bring normality to the body politic they brag about, it is perhaps a good time for the befuddled world to start considering building a de-Americanized world." BEIJING, Oct. 13 (Xinhua) -- As U.S. politicians of both political parties are still shuffling back and forth between the White House and the Capitol Hill without striking a viable deal to bring normality to the body politic they brag about, it is perhaps a good time for the befuddled world to start considering building a de-Americanized world. Oh, those oh so subtle Chinese. Here, for you readers, is a concrete example of MENS REA to look upon, both YELLEN and her ASSIGNED KEEPER (who was the mentor of Bernanke for his doctoral thesis, by the way) FISCHER, are hell bent to destroy this country for Israel and Wall Street banking. HOW EXACTLY does a dude that was born in Rhodesia (now Zimbabwe), when it was a COLONY and he was an integral part of colonial bull****, becomes HEAD of the Israeli Central Bank, is invited every year to the annual Federal reserve August shindig in the boonies, become the top ****ing dog in dictating who does what in financial affairs of the USA? Are you going to tell me that Obama could not have found someone else to get some post in the Federal Reserve (I guess naming him Fed Head would be too obvious and probably illegal because he is NOT a U.S. Citizen by birth although I'm sure he is playing the "dual" citizenship game that Israel fosters)? ANYONE that thinks this we have a democracy is BAT **** CRAZY! GO, STUDY FISCHER and you will know, in advance, all the **** that is coming down for our currency. The guy is a world class SNAKE. And he is a SMART SNAKE at that! His country is Israel and he does not give a flat **** about the USA. John D. Rockefeller resemblance to Stanley Fischer is coincidental! BUT, perhaps it would be WISE to find out where Stanley Fischer "stands" on fossil fuels and renewable energy... I smell a Rockefeller RAT in the Federal Reserve. And every negative truth I just said about Fischer has been thought of by the propagandists so expect puff pieces coming out to cover for this Fischer Predatory Capitalist Rodent. Dig out all the dirt on this guy and publish it here. 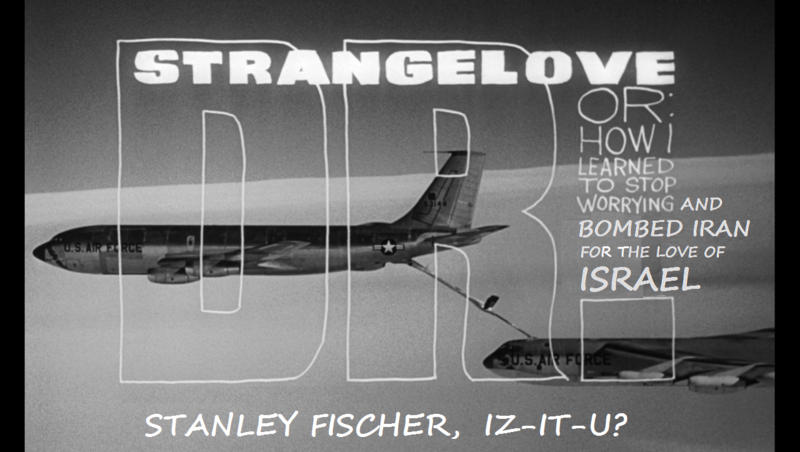 We need to find out exactly what Dr. Strangelove Fischer is up to. What they are planning to do is NOT, IMHO, more of the same. I think they are sweating bullets about distributed (i.e. Democratic) energy and social interconnection communication through the internet. It's HURTING the elite, centralized, top down predatory view of the "real world" mind**** they have put on humanity for the past 100 years or so. THEY WANT TO REVERSE THE DEMOCRATIC INERTIA. I don't know how they are going to do it. Help me find out and share it here. Fischer is REALLY BAD BUSINESS FOR THE USA and the world, for that matter. If you think I'm being hysterical, then research him and prove me wrong. Whatever this Fischer is planning, I can assure you it will NOT be good for gold, our currency or most humans. 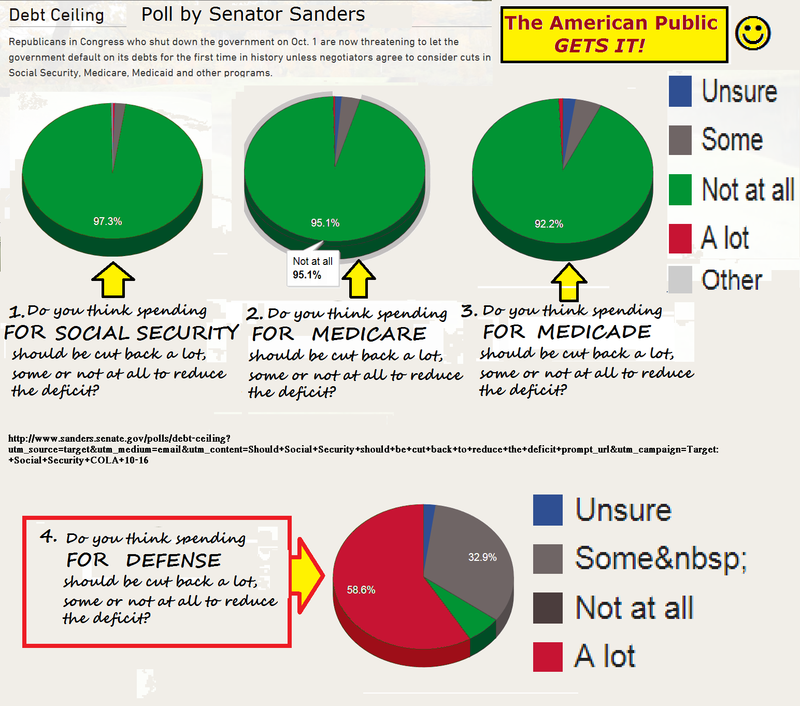 Of course the Wall Street ****s will be bailed out AGAIN in order to destroy social security, medicare (which will impoverish the masses even more, kill democratic processes and "put the little guy back in his place"). The crisis will probably include some false flag attack on Israel by "Iran" (the Mossad and our special ops) causing a limited nuclear attack justification, scaring the rat **** out of the entire planet, and make 2008 look like a walk in the park. You don't have to believe a thing I say. But now that you have heard my "conspiracy theory", I request that you check it out over the next year for the good of humanity. In the depths of my soul I feel this guy Fischer IS EVIL ON STEROIDS! Let's flush him out and spread the word. The planet you save may be your own. A closer examination of Fischer reveals that average Americans have good reason to oppose his appointment, because his lifelong achievements for Israel have imposed high costs and few benefits to the United States while making peace more difficult to achieve. If Americans were ever polled on it – and they never are – the majority who now object to increasing aid to Israel would also likely object to quasi-governmental and governmental positions being staffed by people who – by citizenship or sheer strength of identity politics – are primarily occupied with advancing Israeli interests rather than those of the United States. It is obvious that the real reason AIPAC and its economic luminaries such as Fischer never substantiate any of the advertised benefits the U.S.-Israel "special relationship" delivers to America in return for all of the costs is simple – there simply aren’t any. As greater numbers of Americans become aware that the entire "special relationship" framework is sustained by nothing more than Israel lobby campaign-finance and propaganda networks, the harder the lobby will have to work to forcibly wedge operatives like Fischer into positions where they can thwart growing public opposition – whether it takes the form of boycotts or grassroots opposition to the U.S. fighting more wars for Israel. In the very short term, Americans can only fight such undue Israel lobby influence by again – like during the drive to attack Syria – staging a mass action to demand their senators reject Stanley Fischer’s nomination. That the Fed is a key player in Iran sanctions implementation is certainly no secret. The Fed has been an equal partner in levying hundreds of millions in fines against foreign banks such as R.B.S, Barclays, Standard and Chartered and H.S.B.C. which were charged with violating the Iran sanctions regime. Keeping such a costly regime in place despite thawing relations and any hard evidence of an Iranian nuclear weaponization program has therefore required immense ongoing efforts by Israel lobbying groups. Fischer may also want to launch "exercises" to prepare the U.S. financial system for the fallout of Israeli military attacks on Iran. New bills in Congress drafted by AIPAC call not only for additional sanctions aimed at thwarting a fledgling deal on Iran's nuclear program (favored 2-to-1 by Americans). AIPAC's bill forces the U.S. to "have Israel's back" in the event of a unilateral Israeli strike. If Israel has already decided to attack Iran, it would benefit immensely from having Fischer inside the Fed, protecting the financial flows Israel now regards as all but a birthright from its primary global underwriter. Less well-known is the Fed's authority to authorize foreign bank acquisitions. Any future Israeli campaign to further entwine its banks into the U.S. financial system through acquisitions would likely find a much more welcoming regulator in Fischer. All about the Fed and who the Fascists that run the USA REALLY are.